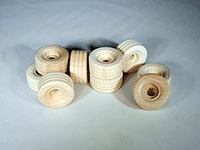 Shop in Canada for smooth, premium quality treaded wooden toy wheels for wood toy cars, trucks and model replicas. 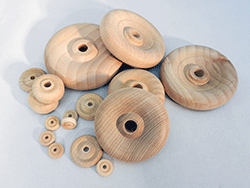 Wooden wheels with treads are made of solid hardwood, and are expertly turned for precision and quality. 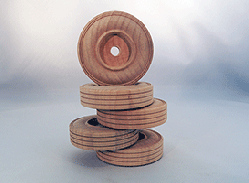 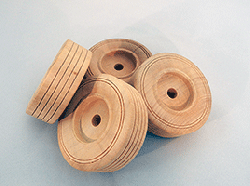 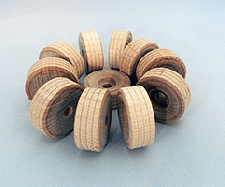 1) Choose a wooden wheel by diameter and single or dual wheels. 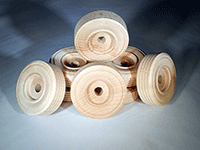 We have a dozen variations of wooden treaded wheels. 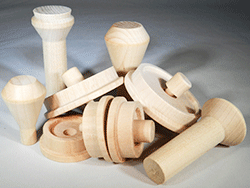 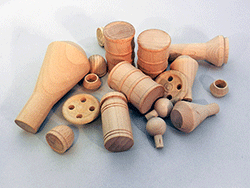 3) We stock everything you need to complete your wooden car and truck projects including axle pegs, dowels, smokestacks, little wood people, cargo, steering wheels and much more. 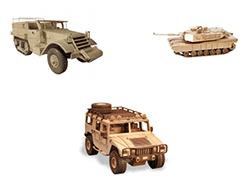 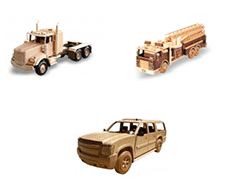 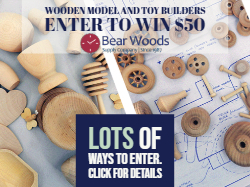 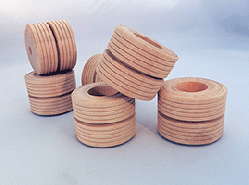 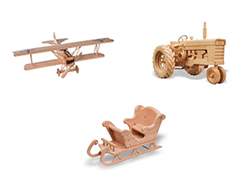 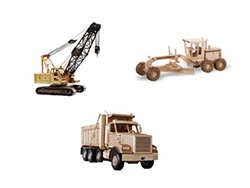 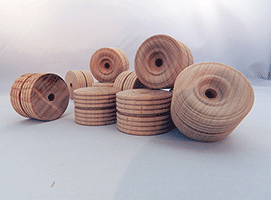 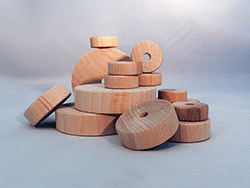 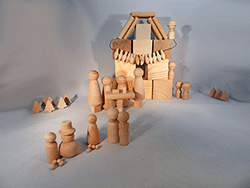 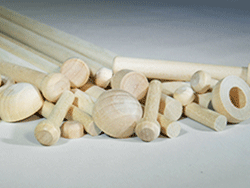 Find our most popular accessories for wooden models on each page where you find product details. 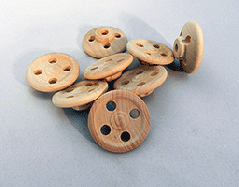 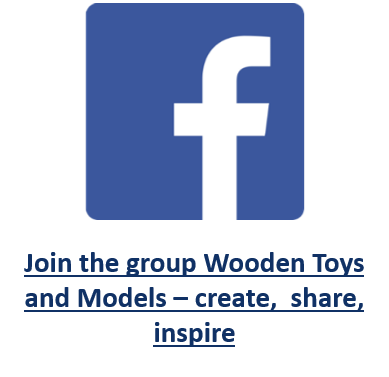 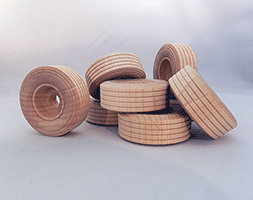 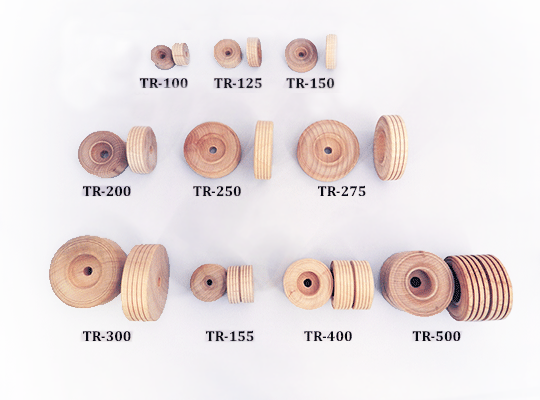 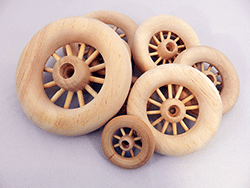 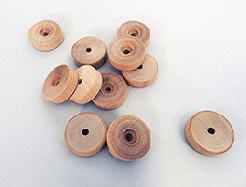 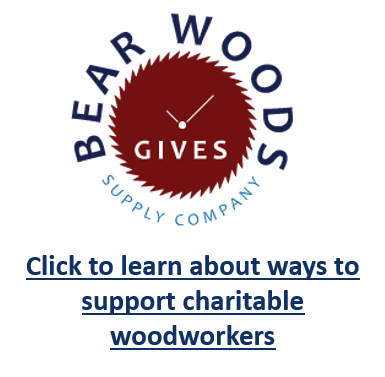 Scroll below for a selection of treaded wooden wheels or click on an icon to see other items for your wooden model cars, trucks and trains. 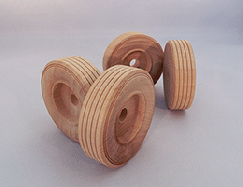 Click on the links/pictures below to see axle peg recommendations to go with these treaded wood toy wheels!